From the co-creator of the New York Times bestselling Ladybug Girl series comes a high seas adventure inspired by the classic picture books Little Bear and Where the Wild Things Are. 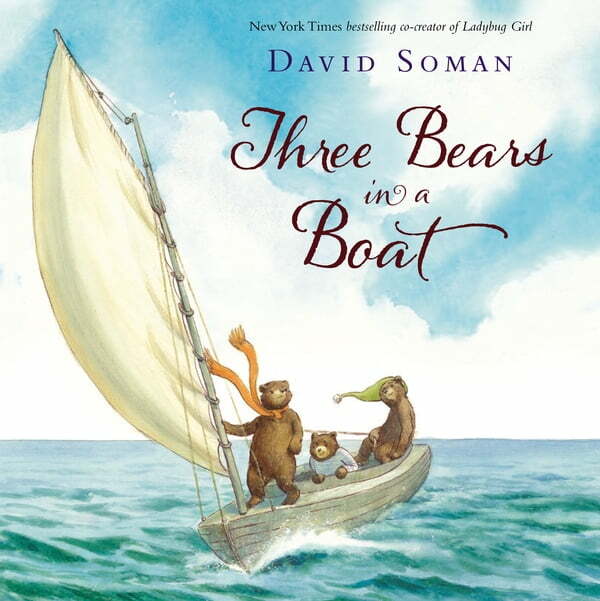 Three bear siblings break their mother’s favorite blue seashell, and rather than tell her, they decide to set out in their sailboat to find her a new one. On their quest they encounter salty sailors, strange new islands, huge whales, and vast seas but no blue seashells. When a treacherous storm suddenly blows in, the three bears find themselves tossed about in their little boat, far from Mama. What will become of their search, and what will it take to bring them safely home? This read aloud shares its best qualities with classic picture books: breath-taking illustrations, epic adventure, and a subtle message about taking responsibility for your actions.